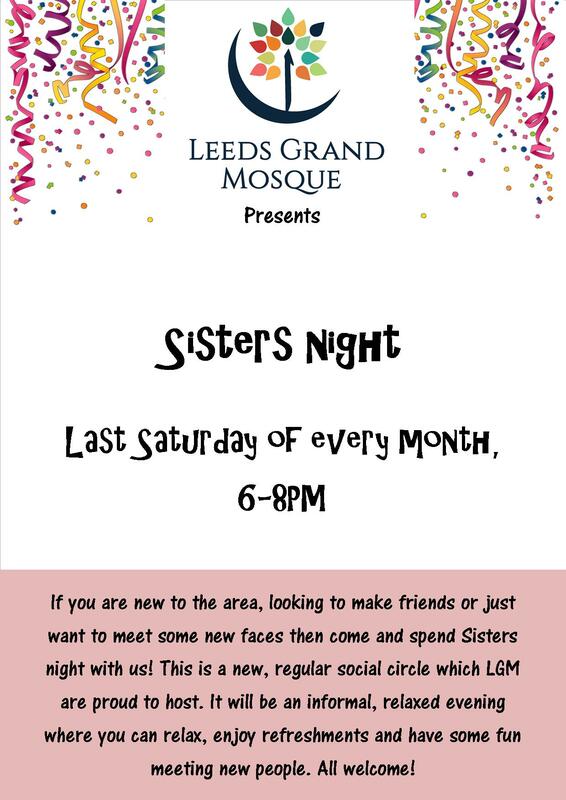 If you are new to the area, looking to make some friends or even catch up with old ones, come to the LGMs new social night for sisters. This is a new initiative by LGM, and will take place on Saturday 24th Feb, 6-8pm. Light refreshments will be available in sha Allah.